On February 25th, we will celebrate Tony’s 84th birthday. After decades of faithful ministry, the Lord has worked through Tony to accomplish many things: writing more than 35 books, speaking to hundreds of thousands, teaching with real impact at Eastern University, launching the Campolo Center for Ministry, and much more. 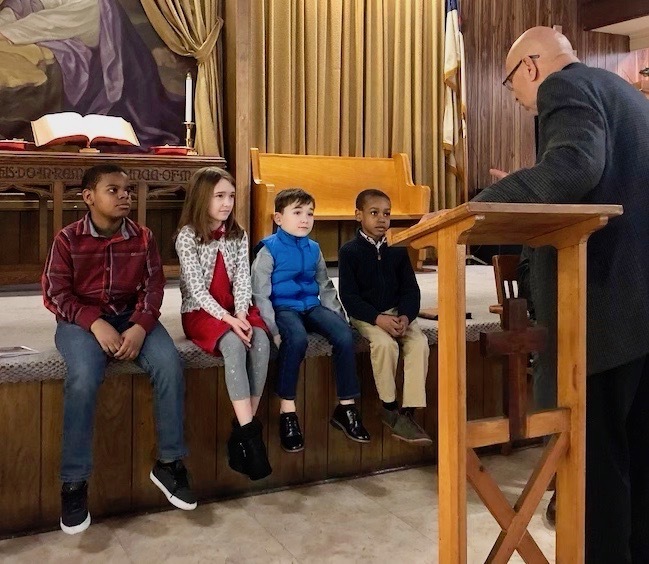 On January 27th, Tony returned to his first ministry calling, as co-pastor of the St. John’s Baptist Church in South Philadelphia. St. John’s holds a special place in Tony’s heart. It was there, nearly 100 years ago, that his mother and father met in the church’s youth group. Each came to know Jesus as their personal Savior and were both baptized. Thirty years ago, Dr. Lindy Backues was a student of Tony’s who went on to serve as a missionary in Indonesia for twenty years. When Lindy returned to Eastern ten years ago, this time as a professor, he intentionally chose to live in the neighborhood near St. John’s because it is home to the largest concentration of Indonesian people in North America. Lindy lives just a block and a half away from the church he will co-pastor with Tony. The significance of this cannot be more clear: God is at work, and God provides! The Campolo Center for Ministry Scholars are answering that call. They are studying. They are attending St. John’s to hear Tony preach and they are serving with him. They are serving in other churches. They are having an impact. Dear friend, let’s make Tony Campolo’s 84th birthday celebration extra special. If Tony’s ministry has had meaning for you, please help him recruit and train the next generation of church leaders at the Campolo Center for Ministry. Your gift will directly provide Campolo Scholarships. The month of February is a great time to give. And, as a result of a $42,000 matching grant, your gift will be doubled – so please, be generous. We are already halfway to a goal of $84,000! Let’s make Tony’s 84th birthday celebration extra special.